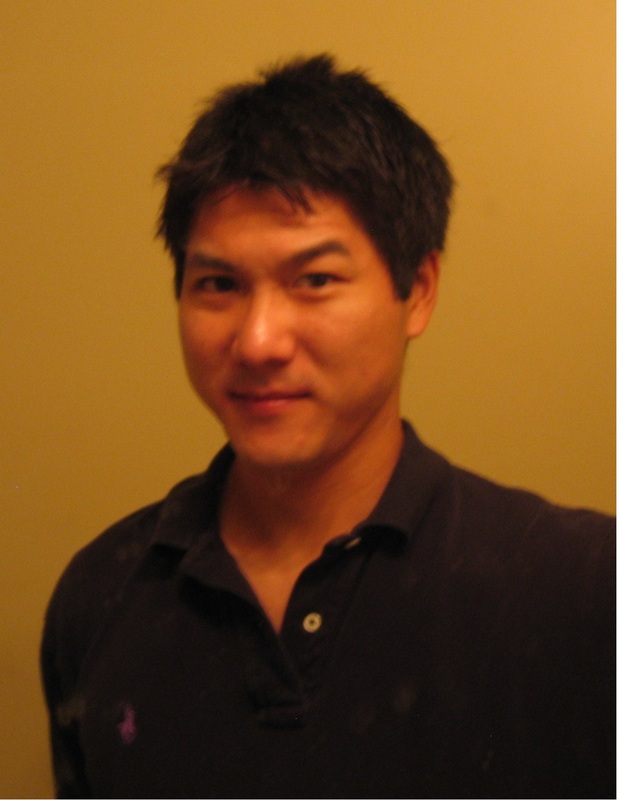 The Erdős Szekeres polygon problem – Solved asymptotically by Andrew Suk. This is amazing! The proof uses a 2002 “positive-fraction” version of the Erdős-Szekeres theorem by Pór and Valtr. Among the many beautiful results extending, applying, or inspired by the Erdős Szekeres theorem let me mention an impressive recent body of works on the number of points in which guarantee n points in cyclic position. A good place to read about it is the paper by Bárány, Matoušek and Pór Curves in intersecting every hyperplane at most d+1 times, where references to earlier papers by Conlon, Eliàš, Fox, Matoušek, Pach, Roldán-Pensado, Safernová, Sudakov, Suk, and others. This entry was posted in Combinatorics, Geometry, Updates and tagged Andrew Suk. Bookmark the permalink. 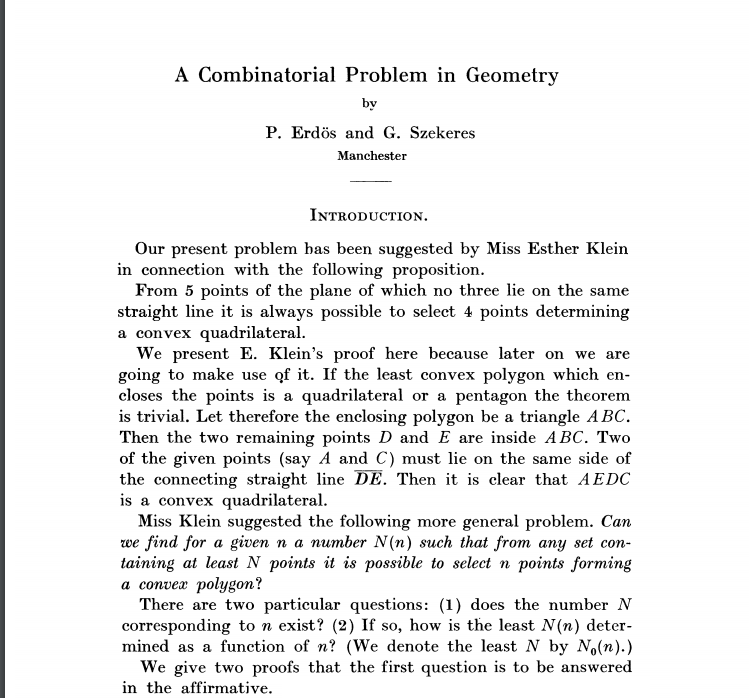 3 Responses to The Erdős Szekeres polygon problem – Solved asymptotically by Andrew Suk.